Kristian Alfonso is an American actress, former figure skater, and fashion model. She is known for her role as Hope Williams Brady in the NBC dramatic serial Days of Our Lives. Alfonso made her acting debut through The Starmaker in 1981 alongside Rock Hudson. Kristian is married twice. Alfonso was previously married to Simon Macauley in 1987. They together have a son, Gino William born in October 1990. But this couple failed to continue their relationship and ended up with divorce in 1991. 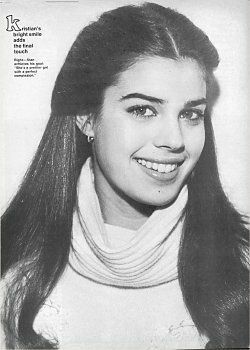 Kristian Alfonso was born on 5th September 1963, in Brockton, Massachusetts, United States. She is the daughter of Gino Alfonso and Joanne Alfonso. Alfonso grew up as an athletic kid and won the gold medal at the Junior Olympic Figure Skating Championships. Moreover, by the age of 15, Alfonso had appeared on the covers of more than 30 magazines including Vogue and Harper's Bazaar. She completed her graduation from Brockton High School in 1982. Alfonso grew up as an athlete and also won the gold medal at the Junior Olympic Figure Skating Championships. But, at the age of 13, she ended her career as an athlete due to the tobogganing accident. After that, Alfonso started her modeling career. By the age of 15, she appeared on the covers of more than 30 magazines including Vogue and Harper's Bazaar. Later, in 1981, Alfonso made her acting debut through The Starmaker alongside Rock Hudson. And after few years, on April 1983 started appearing in the soap opera Days of Our Lives as Hope Williams. But on April 1987, Alfonso left the show returned briefly from April to July 1990. Besides this, she has also starred in the movies like Falcon Crest(1981) and Army of One (1993). Likewise, in 1993 Alfonso starred in the movie Joshua Tree (1993 film) along with Dolph Lundgren. However, in May 1994 returned to the show Days of Our Lives as Gina. And till then, Alfonso is still appearing in the same show. Talking about her current activities, Kristian Alfonso is still active in her acting profession. Alfonso still appears on the soap opera Days of Our Lives. 54 years old Kristian Alfonso is married twice. Alfonso was previously married to Simon Macauley in 1987. They together have a son, Gino William born in October 1990. But this couple failed to continue their relationship and ended up with divorce in 1991. However, Alfonso is currently living with her husband, Danny Daggenhurst. This couple tied a knot on 6th October 2001. On 18th July 2002, they welcomed their son Jack. Furthermore, She also has stepson Spartan. Besides this, there is no any record of her extramarital affairs and relationships. Kristian earns a good sum of money in her career. Allocating information from several sources as of 2018, it is found out that Kristian Alfonso current estimated net worth is around $5 million. Her main source of income is through the acting career. Till the date, Alfonso has won four awards including Soap Opera Digest Award and Special Fan Award for America’s Favorite Couple. Furthermore, she has also been nominated for other eight awards. Alfonso is still active on the acting field so her net worth will surely increase in future days.